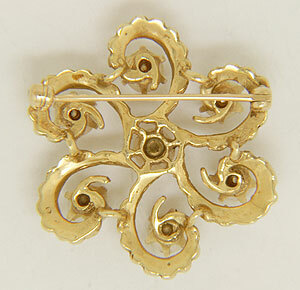 This ornate 14K yellow gold estate pin is set with seven lustrous pearls. 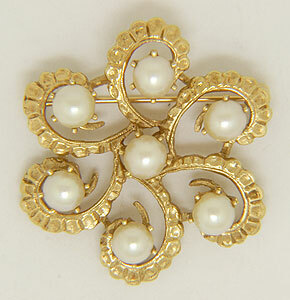 The swirling pattern embraces and surrounds the pearls. 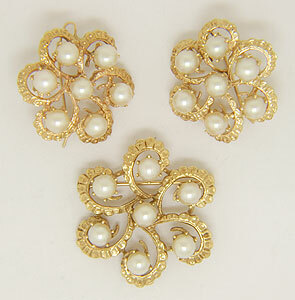 The pearls measure approximately 5mm in diameter. 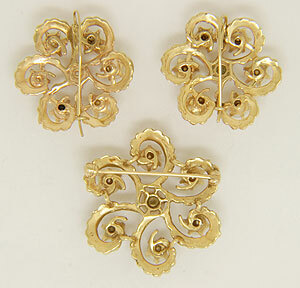 The pin measures 1 1/4" across. Circa: 1960.